Ok, you are finally ready to get down on one knee. You have even spent hundreds of minutes researching until you’ve found that special ring for your loved one. However, one small thing is holding you back from purchasing the perfect diamond ring you’ve just spotted at the jewelers – you have no clue what her ring size is! Keeping your proposal a secret is a hard job, but trying to figure out her ring size without letting the cat out of the bag is an even harder task. Today is your lucky day; there are varieties of tactics that you can employ to find the answers you are searching for. Here are simple ways to figure out your girlfriend’s ring size without asking her or stepping out of your house. The internet has numerous benefits, and one of them is helping you find out your girlfriend’s ring size. It is especially easy to use the web if you already have an existing ring that fits your girlfriend well. All you need to do is find an online ring size finder tool, expand it to life size and hold the ring against the different circles to find out the size. However, if you don’t have access to a ring, you can use a piece of paper to measure the ring finger and mark it. Hold, the paper against a ruler and you will also get the ring size perfectly. Nevertheless, you will have to take the paper measurements while your girlfriend is asleep, or you can use some of these other tricks to confirm. If you cannot get a hold of an old ring of hers, then you have the next best options at your disposal – her best friends or her mother. While it may sound a bit silly, most men tend to forget even considering this possibility. Women know things like these, and as you ask, tell her to keep quiet about it, of course. If you will ask the mother for her daughter’s ring size, make sure that you have had a chance to talk with her father beforehand. While your girlfriend is basically free to do what she wants with her life, many fathers will appreciate the gesture of asking for permission. In addition, your girlfriend will also love you more for doing it! As an alternative, you could even get your girlfriend to start talking about ring sizes. To do this, you could tell her that you just found an absurd thing; that if you take a shoe size, divide it by two and add the number two, you get the real ring size. As she tries to disprove this theory, she will unknowingly tell you her ring size. Otherwise, you can buy a cheap ring that you think may fit her and tell her you found it on the streets. Consider buying a white costume diamond ring and telling her that you want her to dress as Snow White for the upcoming Halloween party. All it takes is creativity to get her ring size! If everything above fails, then you simply have to guess. As you do this, remember that it is easier to resize an engagement ring to a smaller size than the other way round and this works for all rings. On average, a 5’ 6” tall woman weighing about 140 lbs has a ring size of 6; if she’s below average, her ring size may be 5.5 or 5, and vice versa. 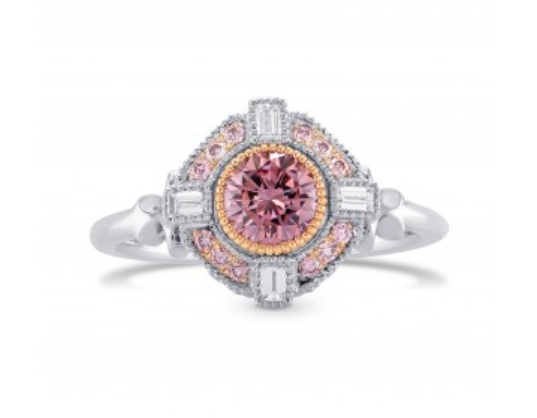 Now that you’ve found the right ring size, you can move on to finding the right ring style. 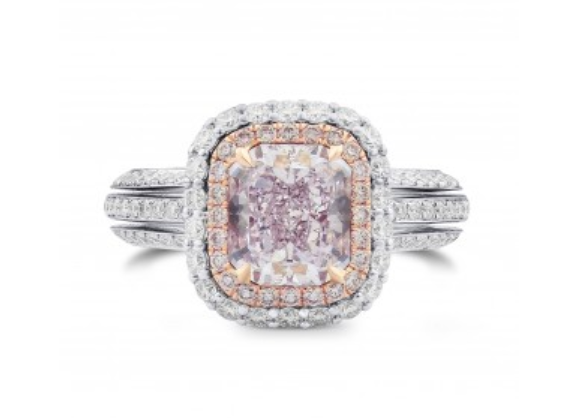 It’s no secret that the ever popular pink diamond engagement rings are always a safe choice.